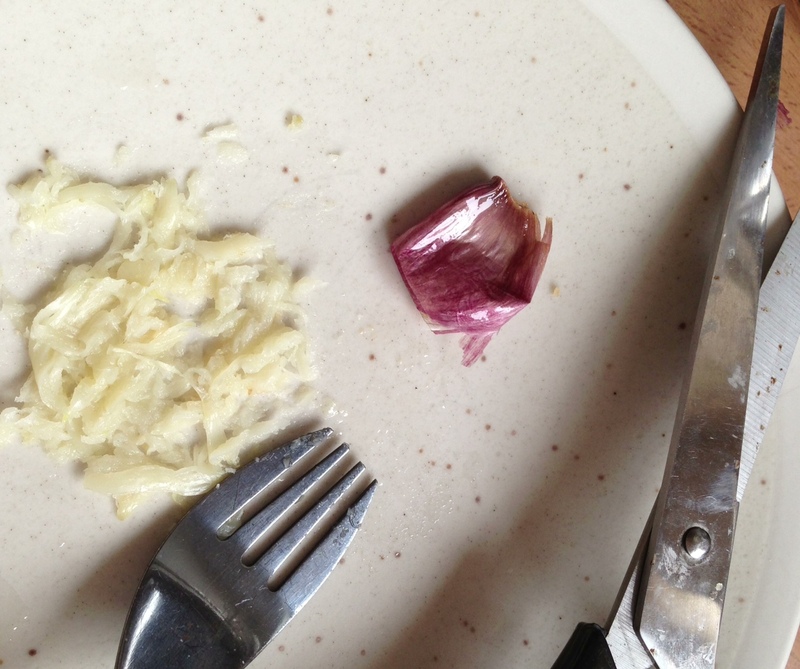 Depending on the herb, your mini yummer can either snip it with scissors (with soft herbs, e.g. chives, coriander, parsley) or just tear it into pieces (for herbs that bruise easily, e.g. basil and mint). For tougher herbs like rosemary and thyme, you can grab one end of the stalk and slide your other hand around and down the stalk to dislodge the leaves. You can even buy special herb scissors that are designed for the job, are easier to hold than regular scissors, and that cut with five blades at a time. No knives needed! Bigger kids should be safe using a countertop grater with a handle at the top, but the best gadget for kids to grate with is a mouli grater–this can be used to grate pretty much anything without their fingers going anywhere near the blades. 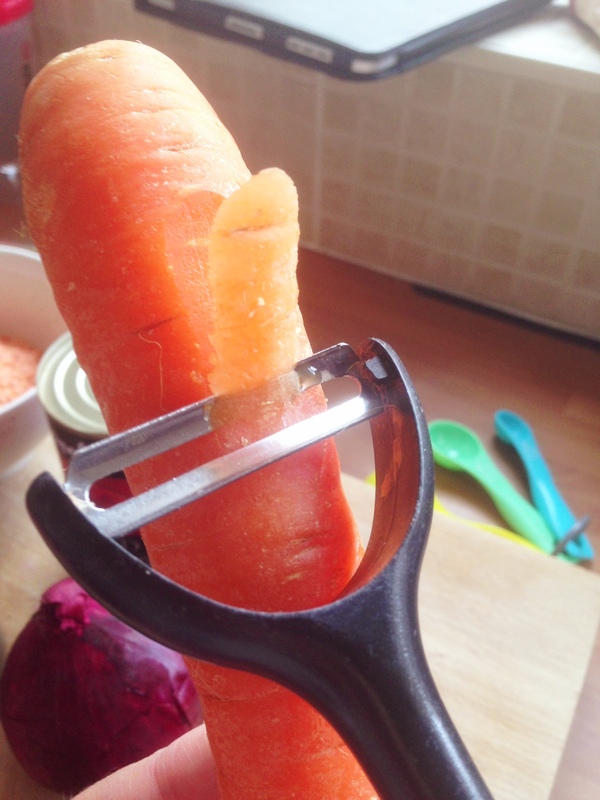 Easy peelers are your answer here, and I don’t mind admitting that this is what I use for peeling fruit and veggies, just because it’s so much easier than using a knife. The handle should be nice and grippy for little hands, and you might want to mark with a pen or a sticker, which side of the handle should face up. Cutting veg and fruit down into pieces that are easier to hold will also help your mini yummer get to grips with peeling. Before you start, wash your hands! It’s important that you are there as support, but let your little chefs take charge. However, always be keeping an eye on them when they are doing jobs such as weighing out ingredients–recipes can go disastrously wrong if you are using them in the wrong quantities. If a recipe turns out wrong then it can put kids off wanting to bother next time, so a gentle “how much flour does it say?” is worthwhile to nudge them in the right direction. It’s much better to question, rather than tell them that they are doing something wrong–it’s less confrontational and allows them to work out the problem for themselves. There’s nothing that throws kids for a loop more, than having washed their hands and got their aprons than when you say you have to go to the shops as you don’t have something you were sure you had in that cupboard! Get them to gather everything together first, and do any weighing that needs to be done. A new trick I’ve started to use is to get them to take a photo of all the ingredients before they start. 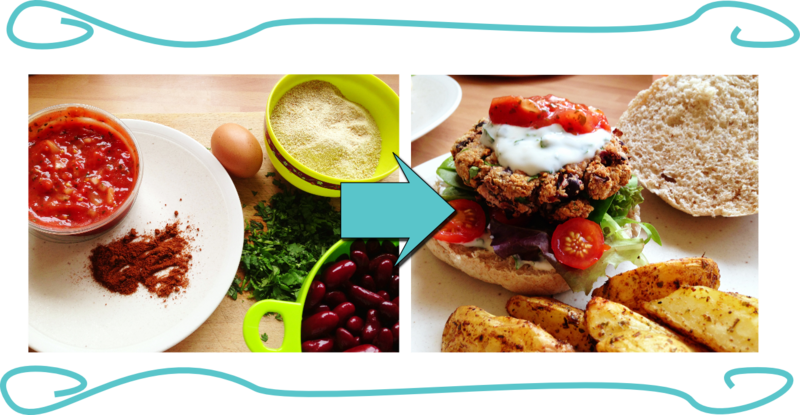 You can then compare it with the finished result at the end, so they get a real idea of how magical cooking is, that they have transformed all those ingredients into something yummers. As with all jobs in the kitchen involving children, you should make sure they are supervised by an adult at all times.